NEW: Electric charging station on site to allow you to come to the cottage with your electric car. 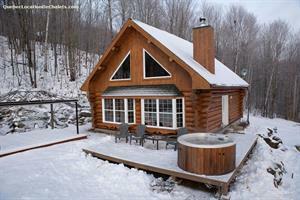 Very nice real log home for renting at Lac Simon, with 5 bedrooms, 2 bathrooms with shower and a whirlpool bath, a fireplace, outdoor hot tub and sauna, BBQ, exercise equipment, pool and poker tables,2 flat screen tv, spread over two floors and basement with all amenities. 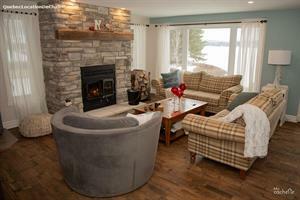 Comfort, charm and luxury, all these features together in our house of Lac Simon, in the beautiful Outaouais region. 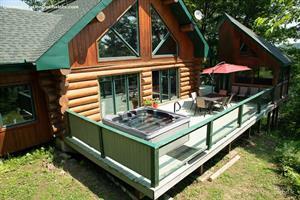 This magnificent mansion, rustic log cabin, offers modern amenities in a beautiful setting.